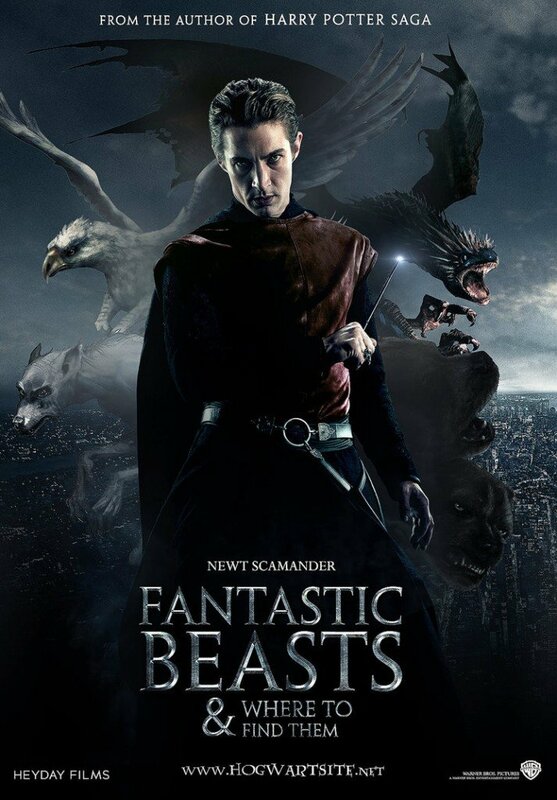 Harry Potter spin-off Fantastic Beasts and Where to Find Them is to be made into a film trilogy. JK Rowling’s book, published in 2001, was originally billed as one of Harry Potter’s Hogwarts textbooks. Warner Bros chief Kevin Tsujihara persuaded JK Rowling to adapt the book for the big screen. Last week, he told the New York Times there would be a trilogy of films based on the book, which follows a “magizoologist” named Newt Scamander. Newt Scamander is the author of a guide to magical creatures. Set in New York, the book is neither a sequel nor a prequel, but an “extension” of Harry Potter’s “wizarding world”, JK Rowling said. Last month, JK Rowling told actress Emma Watson, who played Hermione Grainger in the Harry Potter films, that she completed the draft script in 12 days. JK Rowling herself told the newspaper that it was Kevin Tsujihara – who took over the role of CEO at Warner Bros last year – who persuaded her to adapt the book. “We had one dinner, a follow-up telephone call, and then I got out the rough draft that I’d thought was going to be an interesting bit of memorabilia for my kids and started rewriting,” the author told the New York Times. The project, which was first announced in September 2013, will be produced by Harry Potter regular David Heyman, whose recent successes include Gravity. “I always said that I would only revisit the wizarding world if I had an idea that I was really excited about and this is it,” said JK Rowling when the film was announced last year. Fantastic Beasts and Where to Find Them was written by JK Rowling between the publication of the fourth and the fifth books in the Harry Potter series. It is set 70 years before we first meet Harry Potter. Aside from Fantastic Beasts and Where to Find Them, JK Rowling also wrote the short book Quidditch Through the Ages – another of Harry Potter’s schoolbooks. They were published in aid of Comic Relief.